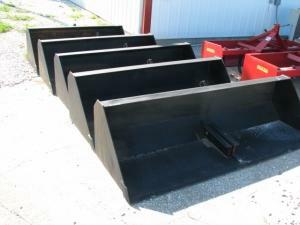 These Buckets are constructed from 1/4 inch thick steel, with 5/16 inch thick endplates. gusseted for strength. Painted flat black primer. You paint the color coat to suit, if necessary.